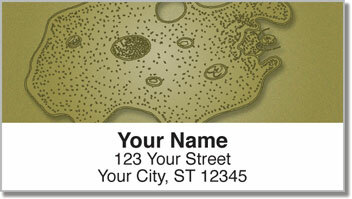 Maybe you've never thought of amoebas as artistic, but this set of unique return address labels is about to change your mind. These one-celled organisms are spectacular shape shifters that can be found everywhere on Earth. One of the creative designers at CheckAdvantage decided to make the blobs of jelly into something that you'll enjoy even if you aren't a biologist. These convenient labels are self-adhesive. That's the scientific term for stickers. 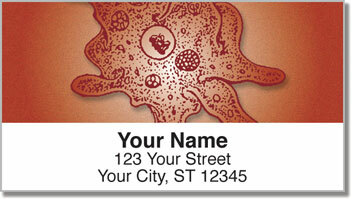 Now you can forget about the tedious task of writing out your return address by hand. 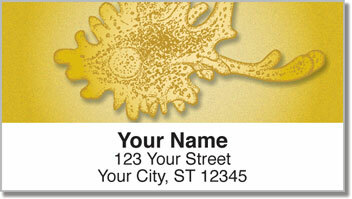 Just peel and place your new labels on all your outgoing mail! 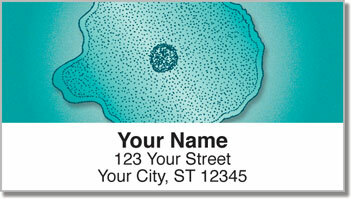 Order Amoeba Address Labels right now! Get them with a set of matching personal checks.